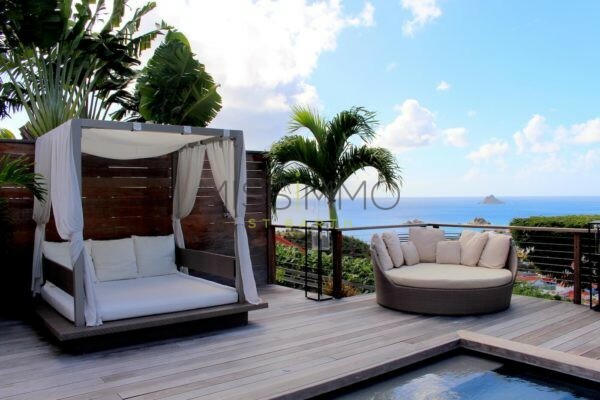 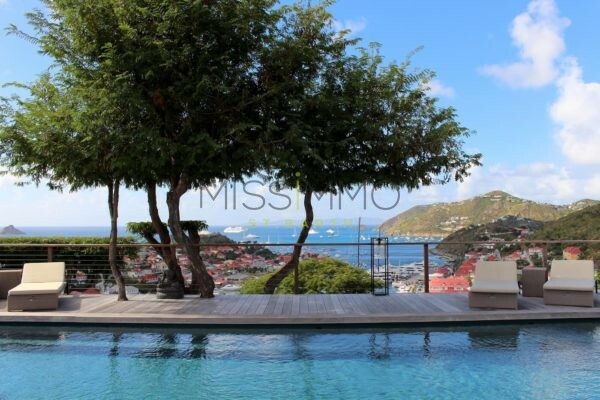 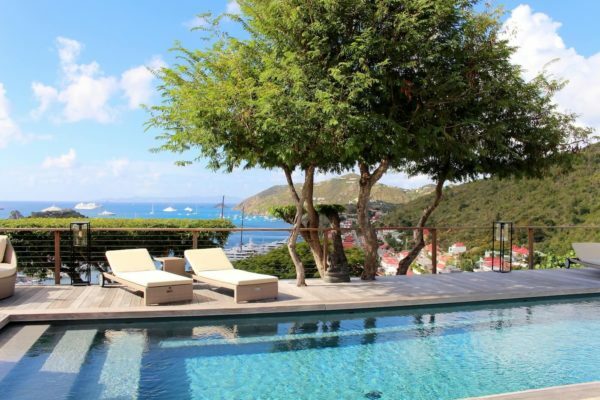 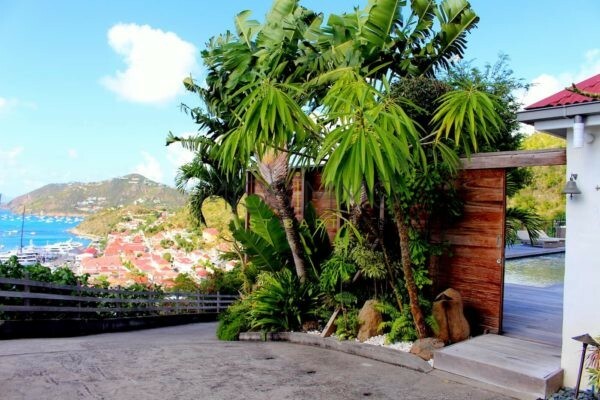 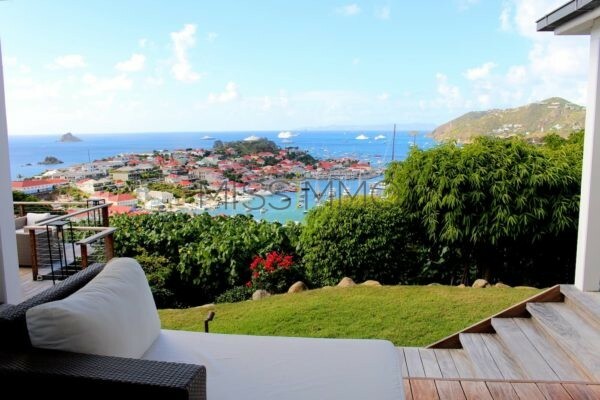 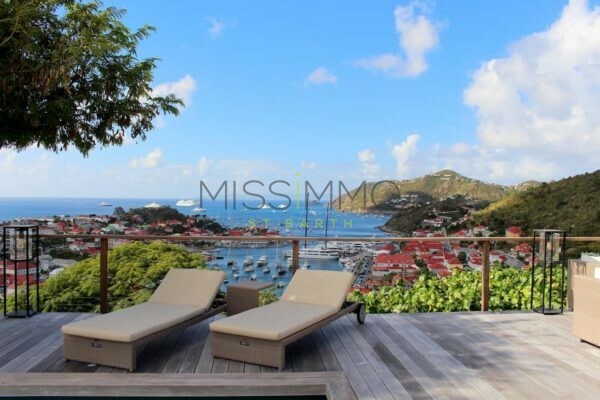 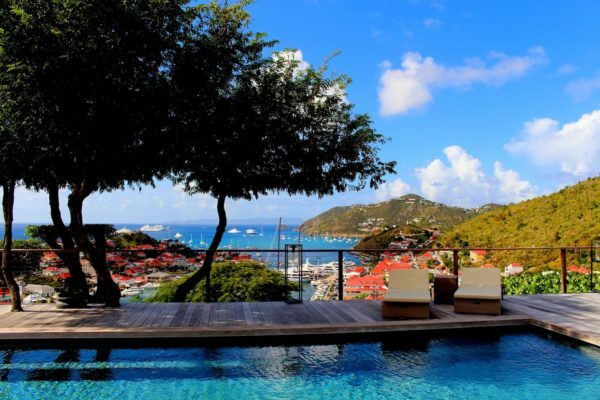 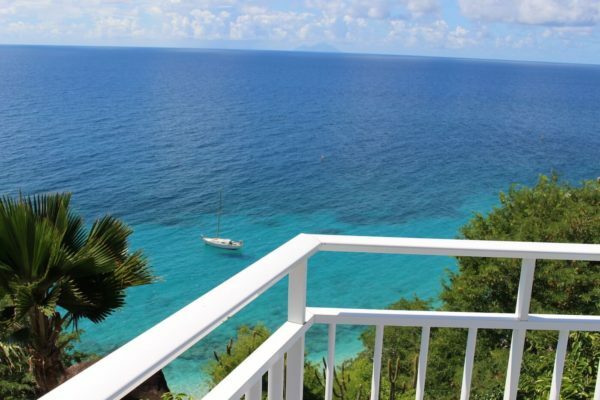 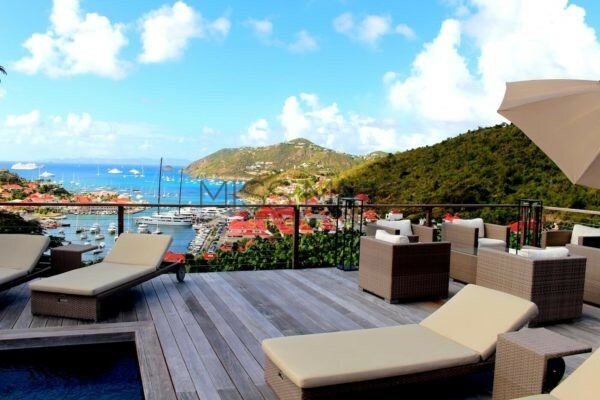 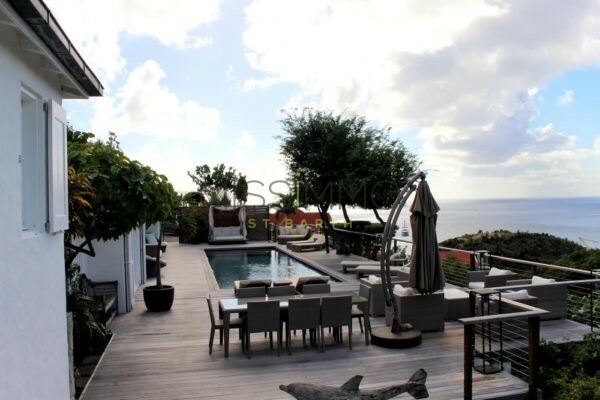 Villa Serenity is located on the heights of Gustavia. 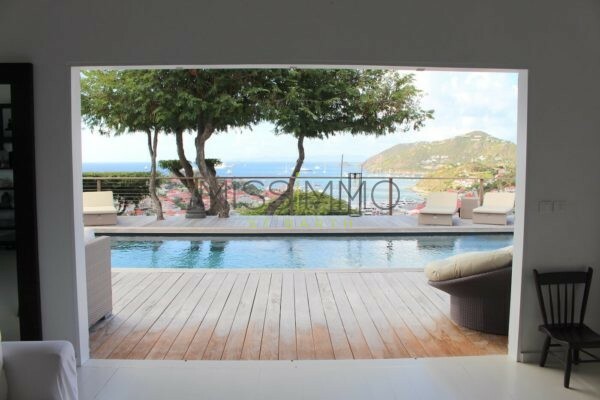 In the private “Domaine du Soleil Couchant”. 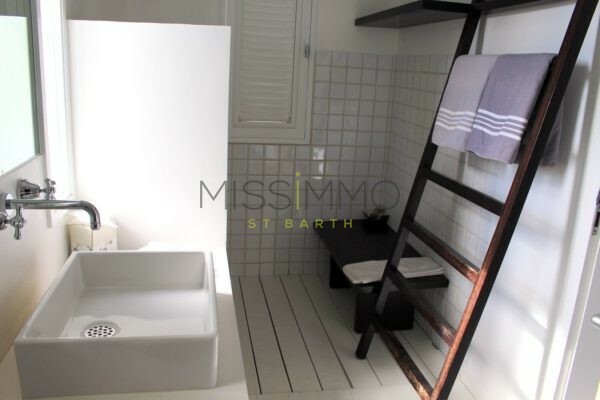 It is a few minutes walk from the city center. 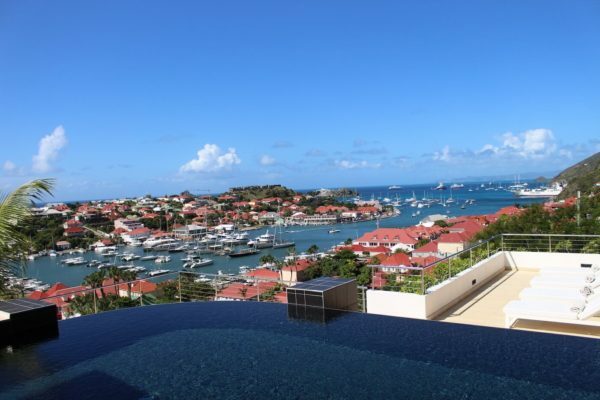 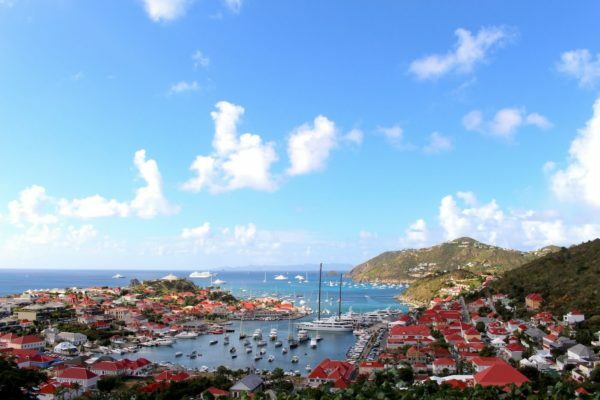 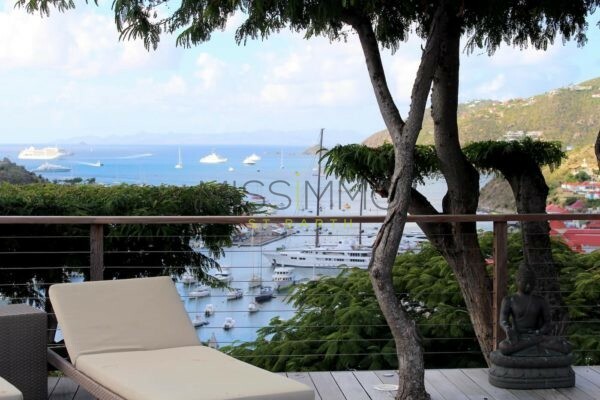 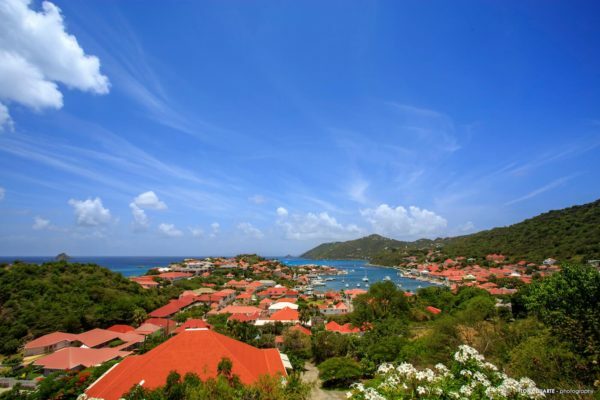 Serenity offers a stunning view of Gustavia and its marina, but also on the sunset and nearby islands. 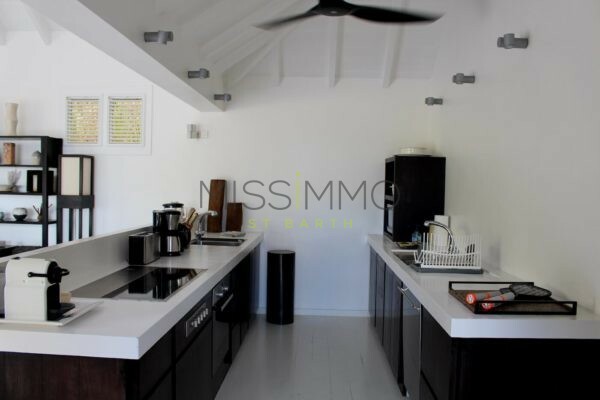 The main unit, tastefully decorated, is completely open on the deck. 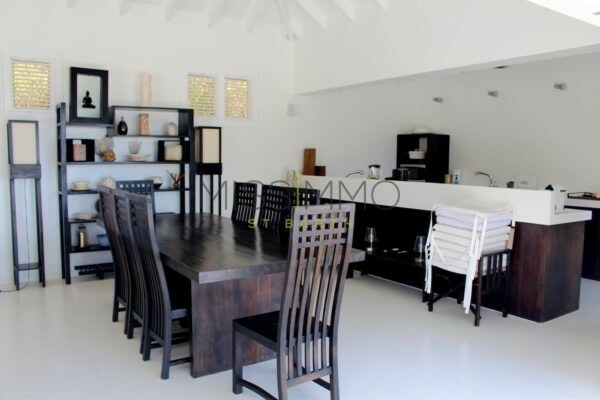 It consists of a comfortable lounge, a fully equipped kitchen, and open bar with dining table. 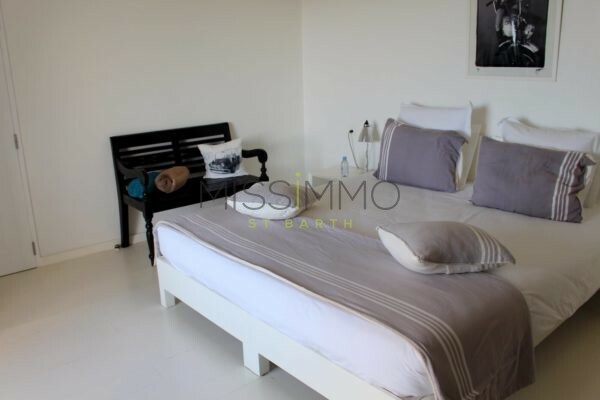 One bedroom is located next to the living room. 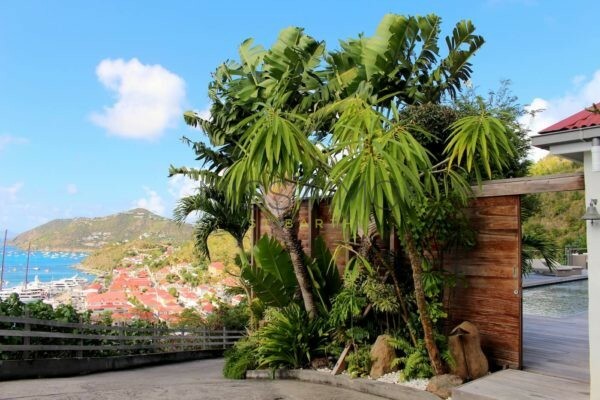 The two others are in separate bungalows. 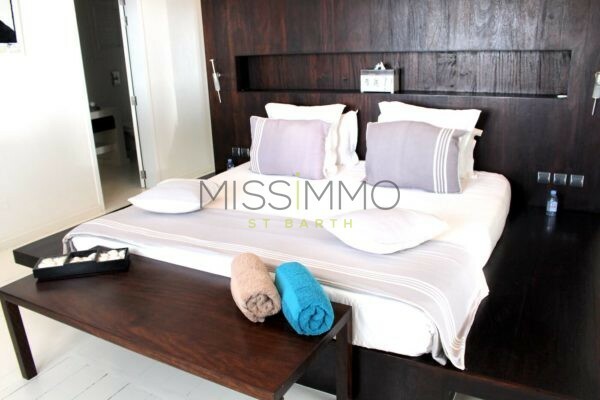 All bedrooms have a king size bed, and mosquito nets. 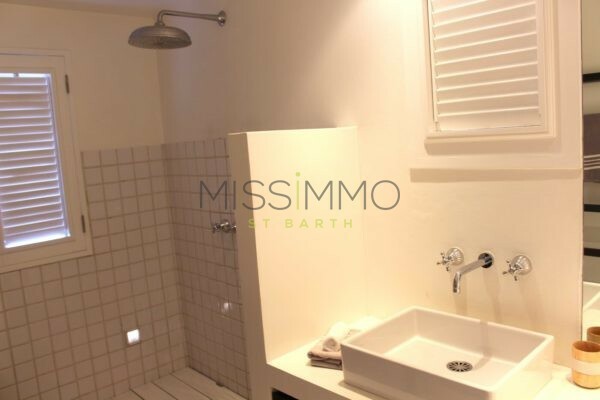 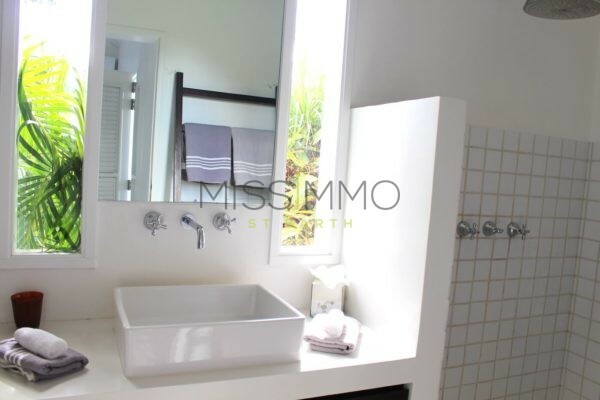 In addition to a dressing room as well as an en-suite bathroom with shower. 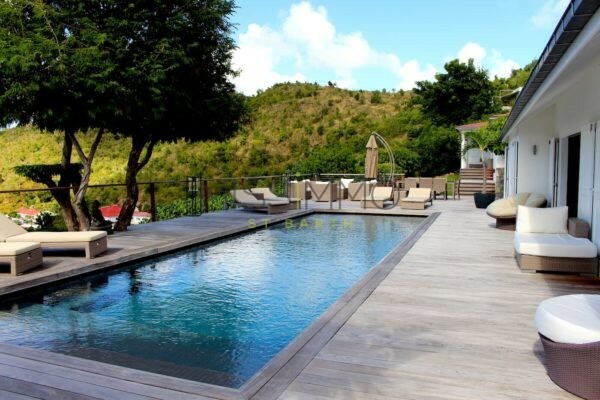 The large pool, surrounded by the wooden deck will be perfect for your moments of relaxation, a cocktail in hand, facing the sunset. 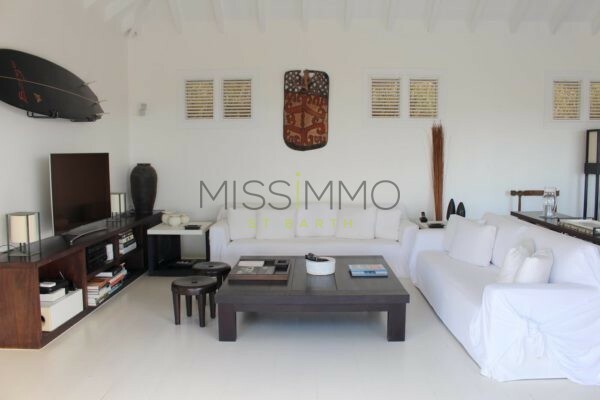 Perfect for those seeking tranquility, while being close to all activities and restaurants of the main town. 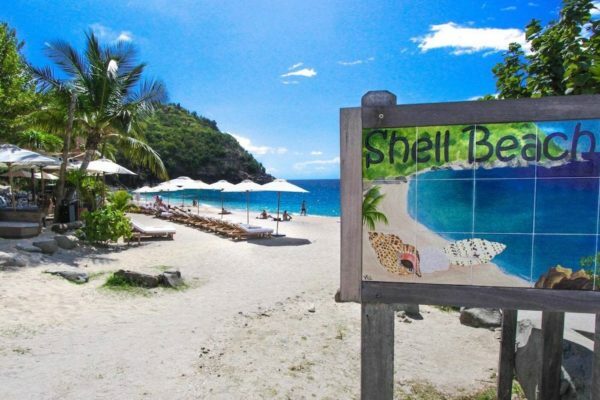 Not to mention the wonderful Shell Beach, walking distance from the villa.